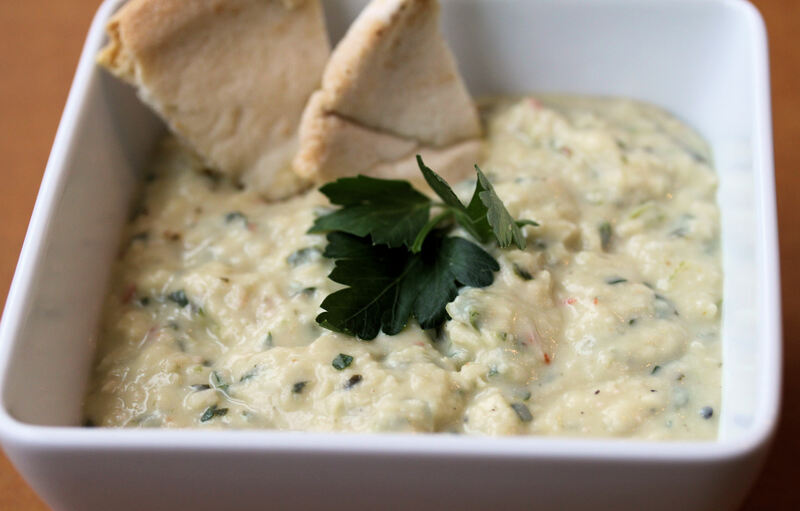 This is an excellent and healthy dip for any occasion. White beans must be the secret ingredient as most of the time my friends ask what is in the hummus that makes it so unique. One, it is not traditional hummus as there are no garbanzo beans or tahini. Two, white beans create a nice and creamy texture that is unique. The dip does not last long. There is a tartness from the lemon that I find quite addictive. The garlic is sautéed with the chili flakes and oregano and it helps to mellow it out. If there is any leftover, it is great on a sandwich! warm 1 tablespoon of olive oil in a large skillet over medium high heat. add the garlic and let cook for 1 minute. then add the red chili flakes and oregano. stir to combine and cook for about 30 seconds before adding the drained beans. heat the beans for a couple of minutes while cooking and smashing the beans. they will absorb the flavors better when they are broken. remove from heat and let cool. meanwhile, put the parsley, remaining 3 tablespoons of olive oil, and lemon juice in a food processor. add the bean mixture and puree until smooth and creamy. taste and season with salt and pepper as needed. if the puree seems a bit thick, add a couple tablespoons of the bean liquid and puree. if more lemon is desired, give the puree another squeeze of lemon. serve in a dip bowl with toasted pita chips and sliced cucumbers. 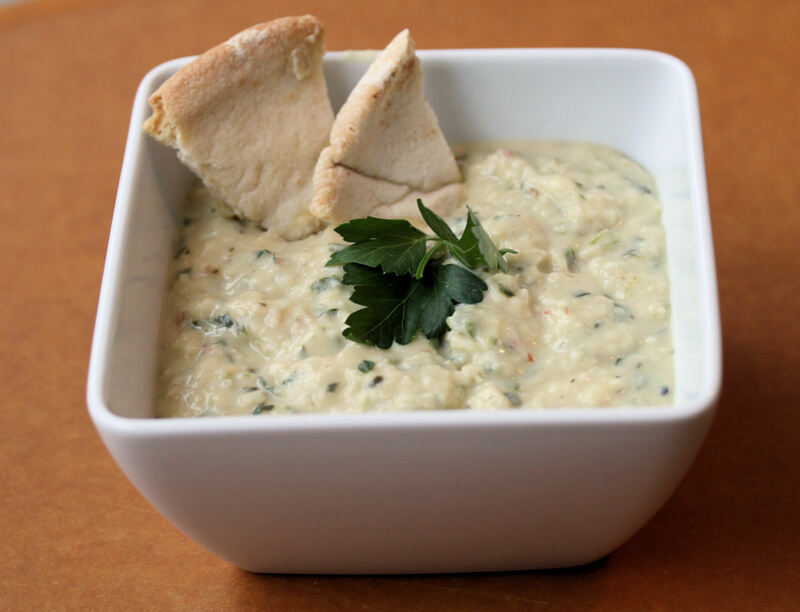 This entry was posted in appetizers and dips, healthy options, italian, snacks and tagged cannellini beans, dips, dips and appetizers, football, football recipes, game day, hummus recipes, pita chips, superbowl, white bean dip, white bean hummus. Bookmark the permalink.